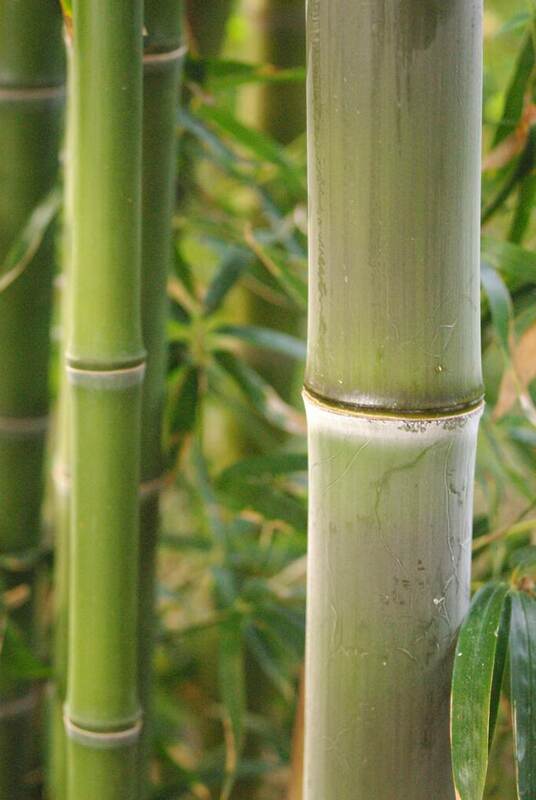 Yes, it's just some bamboo, but it's big bamboo. 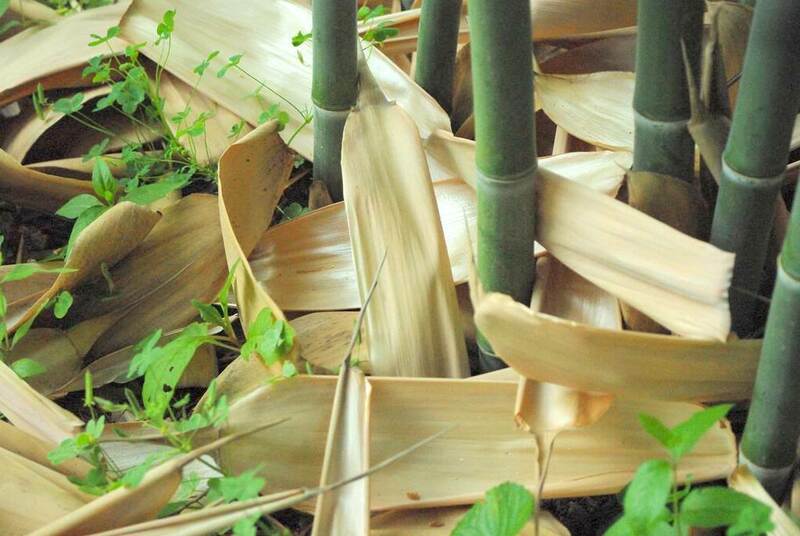 It's beautiful bamboo. It's also not in my own garden, darn it. It's in my friend Michael's garden. He emailed me a few days ago and said I had to come over and see the size of the atro shoots (Phyllostachys atrovaginata). So I did. And I was properly impressed. 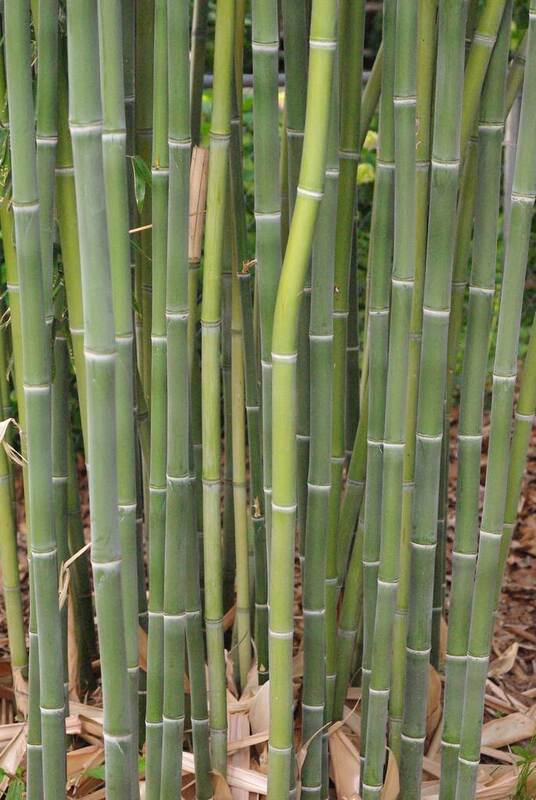 If you don't grow bamboo, or haven't had the privilege of seeing large bamboo culms in person, you won't appreciate what's going on here. 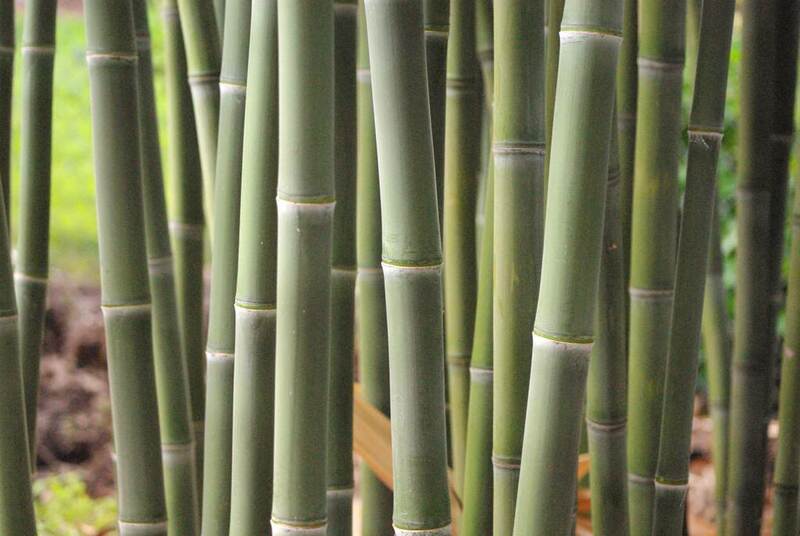 These aren't the fattest culms in the world (or the country), but they're pretty good for the St. Louis area. Around 2" (5cm) thick, maybe a touch more. 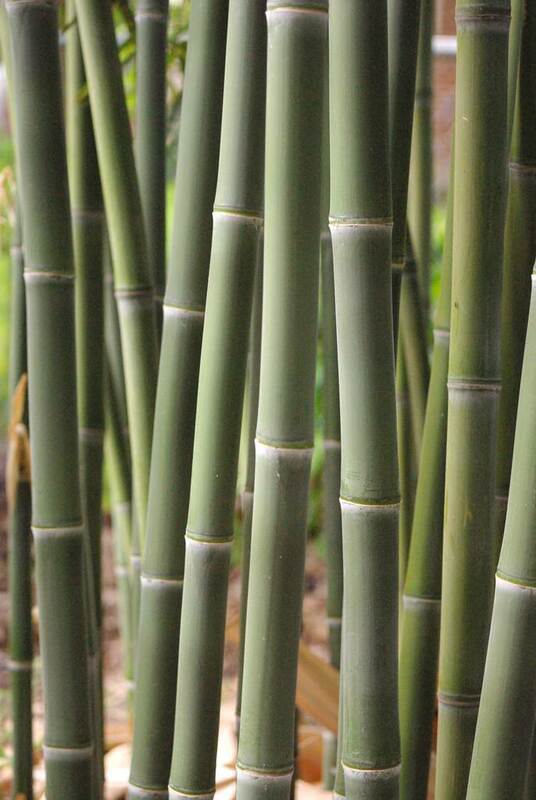 I love these mature bamboos that Michael has, both the atro and the Phyllostachys heteroclada. The heteroclada takes a long time to reach mature size -- over a decade according to Mike -- but it's so beautiful! Someday I'll have something this impressive and satisfying in my garden too. Sigh. I love the gray-green color. Just beautiful. Atrovaginata is finally starting to wake up for me. It looks like Michael grows it in a very tight clump. Did that happen naturally? 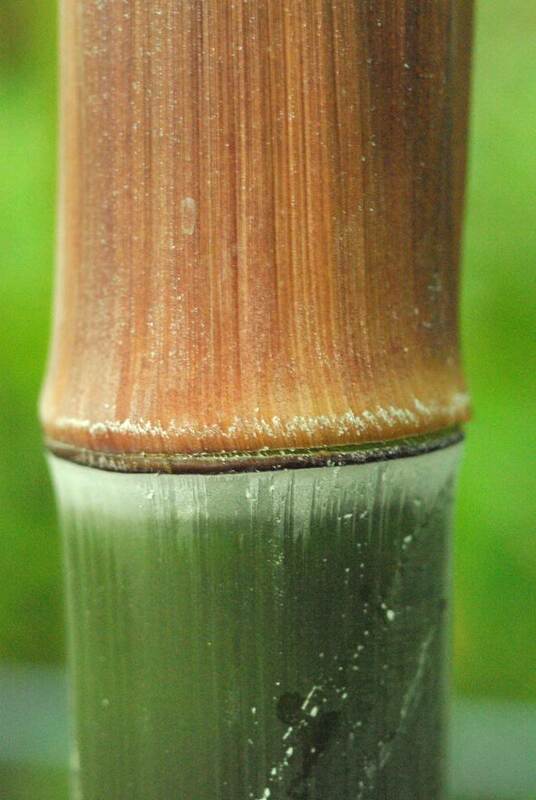 I seem to bee seeing all of the new shoots only a couple inches away from the existing culms showing that it is a pretty slow running bamboo so I'm not sure if it runs slow in your climate as well. Not slow here at all -- 10-15' in one year? Mike rhizome prunes to keep them in a clump, and has been doing that for 30 years. All of these bamboos have been moved a couple of times during those years, or they'd probably be even larger by now!